- LIFETIME GUARANTEE -Be sure to make sure you are buying from only HAGESTAD when you add to cart. ROSEWOOD HAS A DISTINCT ODOR that dissipates with time. 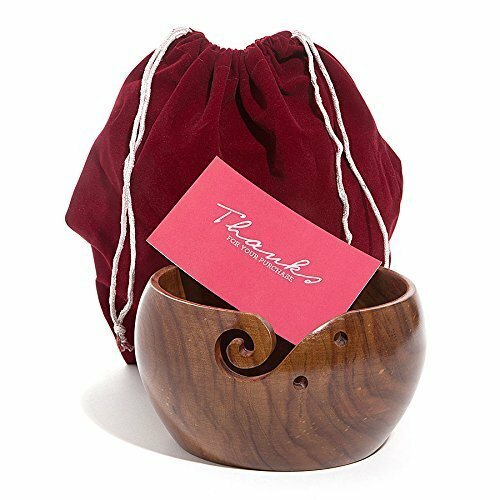 We proudly stand behind the quality of our wooden yarn bowl and will will fully refund your purchase with no questions asked, if unsatisfied. - SIZE - Large - approximately 7" diameter x 4" height. can comfortably fit a 5oz ball of yarn.